A good night's sleep is good for you. 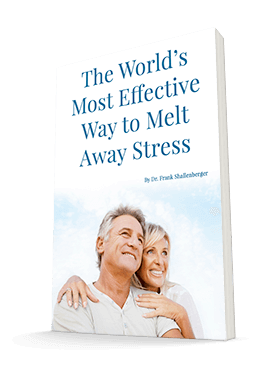 It can help treat all sorts of conditions from stress to heart problems. But new research is showing it's not simply sleep alone that heals. It's something that your body produces to help you sleep. That's right, our old friend, melatonin! One study evaluated the effects of melatonin in 1,440 patients. All of them had untreatable advanced solid tumors. They received supportive care alone or supportive care plus melatonin. In a second study, the same researchers evaluated melatonin's influence on the efficacy and toxicity of chemotherapy. They followed a group of 200 metastatic patients, all of whom had chemo tumors. They gave half of the patients chemo. And the other half took chemo plus melatonin. In both studies, the researchers gave the melatonin orally at 20 mg per day at bedtime. Then they measured the frequency of cachexia (wasting), asthenia, low platelets, low white blood cells, mouth ulcers, and cardiotoxicity. The frequency of every one of them was significantly lower in patients treated with melatonin than in those who received supportive care alone. Another study included 50 patients suffering from lung cancer, gastrointestinal tract tumors, breast cancer, or brain glioblastoma. Half of the patients took melatonin alone (20 mg per day orally at night). The other half took melatonin plus an aloe vera tincture (1 ml twice daily). Two of the patients taking the combination had a partial response. Twelve of them saw their disease stabilize. And, of those taking just melatonin, seven achieved stabilization. I have used melatonin to treat cancer for at least 10 years. I believe my patients have done much better with it. But there's something else that's really terrific about this research. It completely refutes the bogus claims of oncologists that you should not take supplements or antioxidants while on chemo. These studies clearly show taking melatonin with chemo enhances your survival and reduces toxicity. Melatonin is an inexpensive supplement you can buy at any health food store, drugstore, or grocery store. Most of the products come in 3 mg tablets, so you'll need to take six or seven tablets to take 20 mg per day. You also can find 5 mg tablets (take four daily) at many stores and online. Ref: Support Care Cancer. 2002 Mar;10(2):110-6. Epub 2001 November 13; Nat Immun. 1998;16(1):27-33.